Yum! These are just the motivation I need to forget my flu and get dessert-ing! 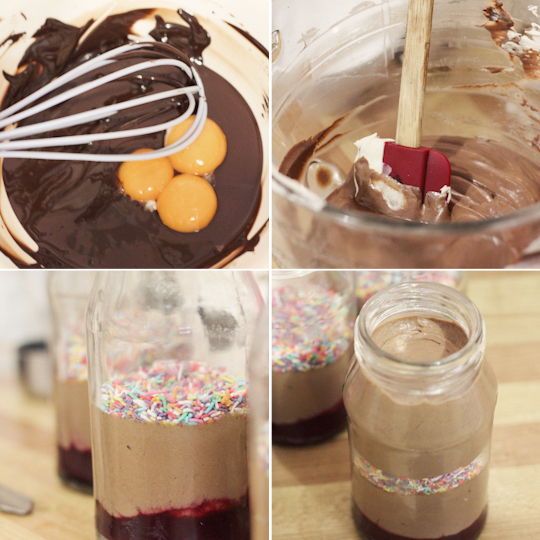 Am loving the layer of sprinkles inbetween the mousse! It makes me smile! I am a huge fan of chocolate mousse but have to admit I am terrified of making it in case it splits. I've had instances where it was grainy and quite horrible to eat... and I wouldn't just bring one of these in my handbag to the movies, I'd bring a couple! Hehehe. How cute :) The first thing I though of was I'd replace the berries with peanut butter or caramel! Love the sprinkles too! LOVE that layer of sprinkles! 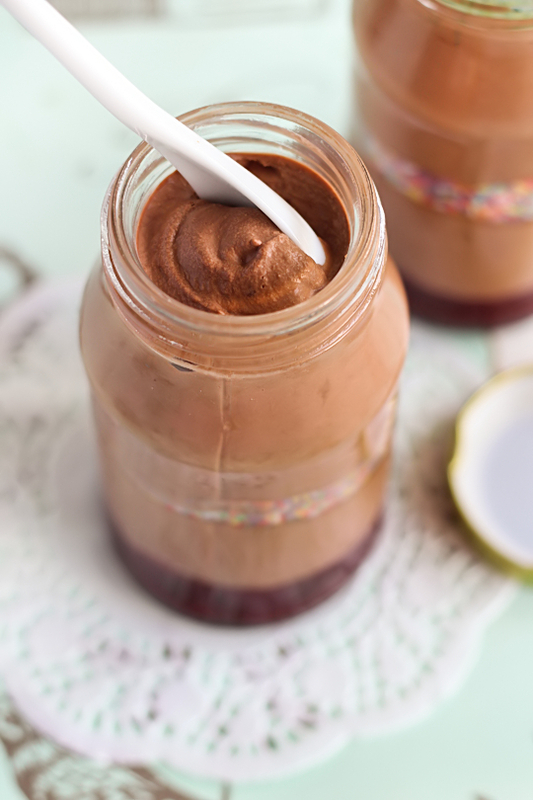 Love mousse au chocolat, it's a simple yet elegant dessert. Plus, I don't know anyone who doesn't like it, its perfect to entertain! oh no! 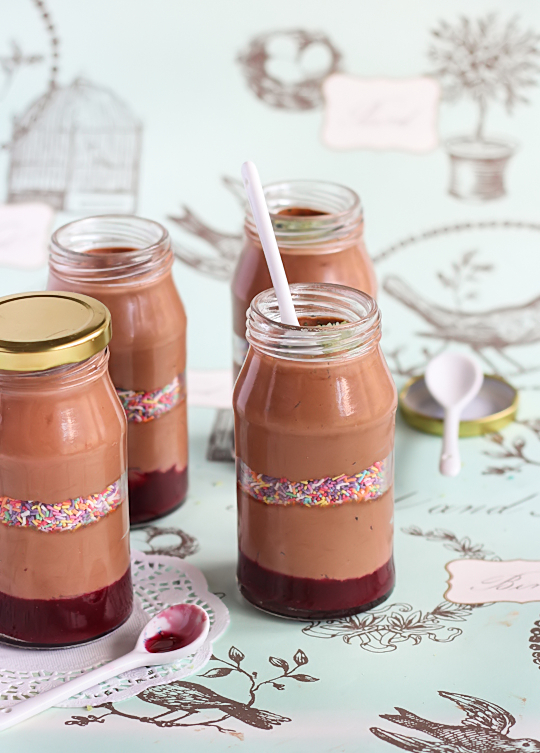 you've started a chocolate mousse chain, I think! you've passed on your cravings to me. These are gorgeous too! 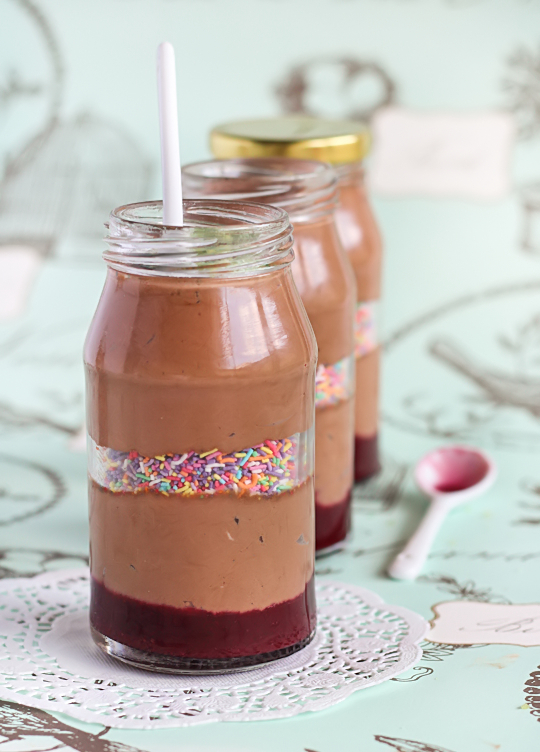 Aargh I won't rest until I've made these! I love chocolate mousse... I love blackberry and I love sprinkles!! I want to try this recipe as soon as possible! A crazy , interesting wonderful combo as usual! These look delicious! 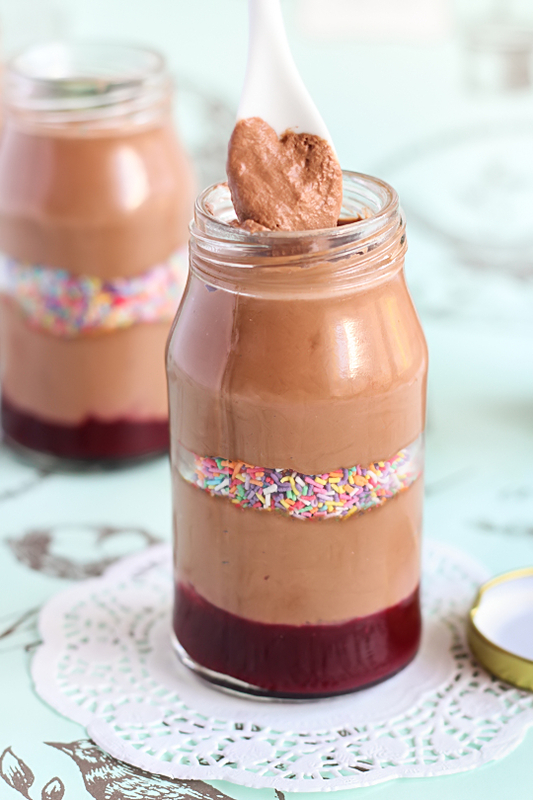 Chocolate mousse is one of the first things I learnt to make too - we made them with just chocolate and eggs (no cream) which makes it seriously rich, so love the idea of lightening them with cream. Plus anything with sprinkles is fab! Absolutely brilliant idea! These look great. This really made me smile today when it arrived in my inbox. Sprinkles make anyone happy and this was a really fun way to see them. Sounds delish too! When I saw these, I died a little inside, floated off to heaven and then couldn't stop staring at the great pictures. these are delightful! I love chocolate mousse but am nursing a sore throat now. Maybe when I'm better, I shall try making these! how lovely..! 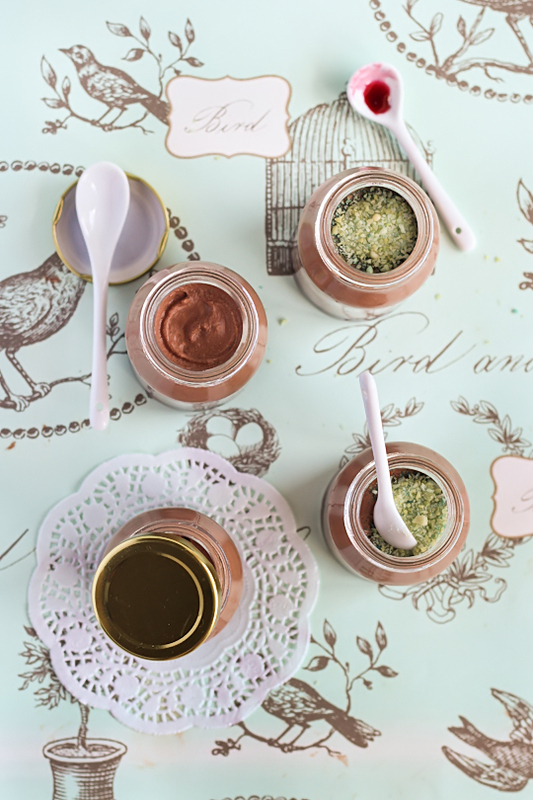 these would be perfect for a cute little afternoon tea or kitchen tea! What a lovely idea. Just gorgeous and very tempting! Oh that looks so pretty and good. I'm not even a big fan of chocolate and think these turned out wonderful. It looks so nice and more important do delicious! Great idea! Hi! Instead of the berry compote, could I beat peanut butter with the sugar and vanilla? Or could I just swirl peanut butter through the mousse? Do you think this would be ok to make the night before?